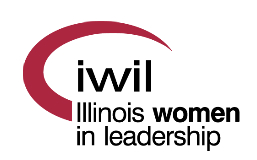 Illinois Women In Leadership really was a seed planted in many minds several years ago when there was a desire to go beyond - beyond what we'd learned, beyond what we could do for others, beyond limitations. And, so, after the usual task force creations, debates and brainstorming, number crunching and nail biting, the organization was launched on July 1, 2004. But what is not new is the membership. We drew from our friends and associates to form a charter membership that exceeded 150. That was the entire goal for the first full year of existence. Clearly the need for this organization existed as we continue to grow. Although growth is important, so is each individual. Your leadership team is committed to maintaining some familiar routines. Its members also know change and risk taking are part of leadership. So are listening, planning, supporting, and decision making. There have been a lot of those activities and will be more. Make yourself heard. Be present and counted at the meetings. Visit a board meeting. Get on a committee. Part of our newness was the grounds well of excitement and the eagerness to do a great deal immediately. Resources and wanting to "do it once and do it right" create the realization that Illinois Women In Leadership will always go forward, sometimes at the speed of lightning and sometimes more slowly. Together, we will get things done -- hear what our members say! So, if you do not see something that you are looking for, and if you are willing to be a part of the plans and development, if you are willing to invest in yourself, then join IWIL and communicate with others about your hopes and dreams. Let's see what will happen! Organizational Purpose: IWIL exists to promote professionalism and to develop members’ leadership and management abilities. This is done through education, mentoring, networking, member participation, encouragement as well as support, friendship, and community involvement. Tax Status: The IRS has granted IWIL 501(c)(3) tax exempt status. 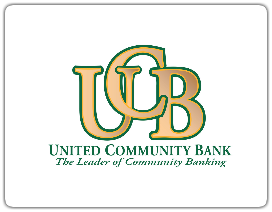 Membership dues, contributions, and donations are tax deductible.